Armani Exchange Jeans & Trousers For Men. Mainline Menswears collection of Armani Exchange trousers ranges from casual jeans to smart chinos, perfect for every occasion. 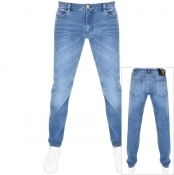 Our Armani Exchange jeans are available in clean washes or with fading and tears for an intentional worn and distressed look in various cuts. 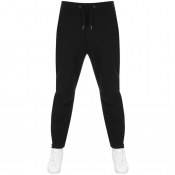 Alongside our jeans and chinos, we stock a variety of jogging bottoms. 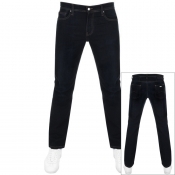 Our selection of Armani Exchange products also includes shorts which are available in either cotton jersey or denim fabrics to suit every style. All of our Armani Exchange trousers feature a selection of pockets and Armani Exchange branding.